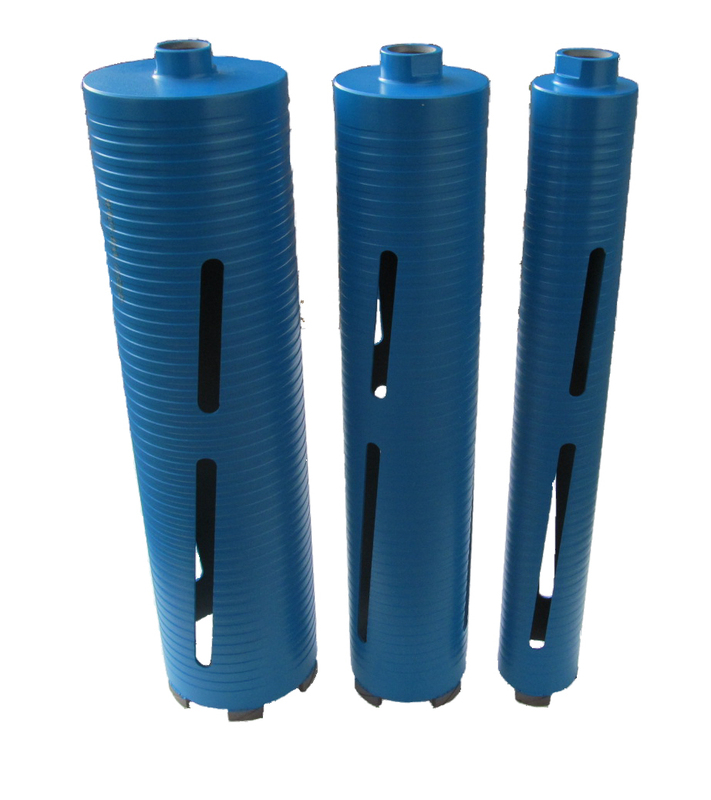 Applications: These core bits have extended barrels to drill into deep walls. They are especially useful in the walls of older building where the middle may be loose-filled. Once drilled through, the pipe can be inserted as the core bit is withdrawn to help avoid fall-back of the loose fill. They use standard dry core bit 1/2" BSP fittings. Use a power drill without hammer action and with a clutch or torque limiter. Ideal power would be 1kW or more, especially for the 107mm size. Dust feed 'N' slots remove dust from cutting face. External spiral dust feed to push dust to back. Takes standard dry core bit fitments 1/2"BSP male adaptors. Ideal for most wall stone, brick and concrete. Also Available: We stock a range of accessories for dry core bits.